Payments Archives - Miria, Inc. The statistics regarding return on capital alone certainly make a compelling case for dynamic discounting, but how do organizations effectively capitalize on this opportunity? Traditional paper-based payment methods make it extremely difficult to capture the best discount rates in a dynamic discount framework, which are the highest within the first few days the invoice is issued. 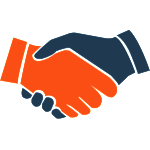 Strong vendor partnerships are a critical component to business success, particularly in industries where frequent and regular delivery of inventory is needed to sustain optimal operations, such as retail and restaurant environments. Buyers and sellers must have mutual respect and confidence in each other that foods will be received and paid for in a consistent, timely manner. Dynamic Discounting is a no-risk, high-reward solution for buyers, providing them a way to increase their case returns in a low-interest environment, while keeping their vendor relationship strong with a payment method that also creates winning scenarios for the seller.